Like a bad family Christmas movie, DFW’s most recent uninvited guest, ICEmaggedon, put a big kibosh on several holiday events, especially the light displays across the metroplex. 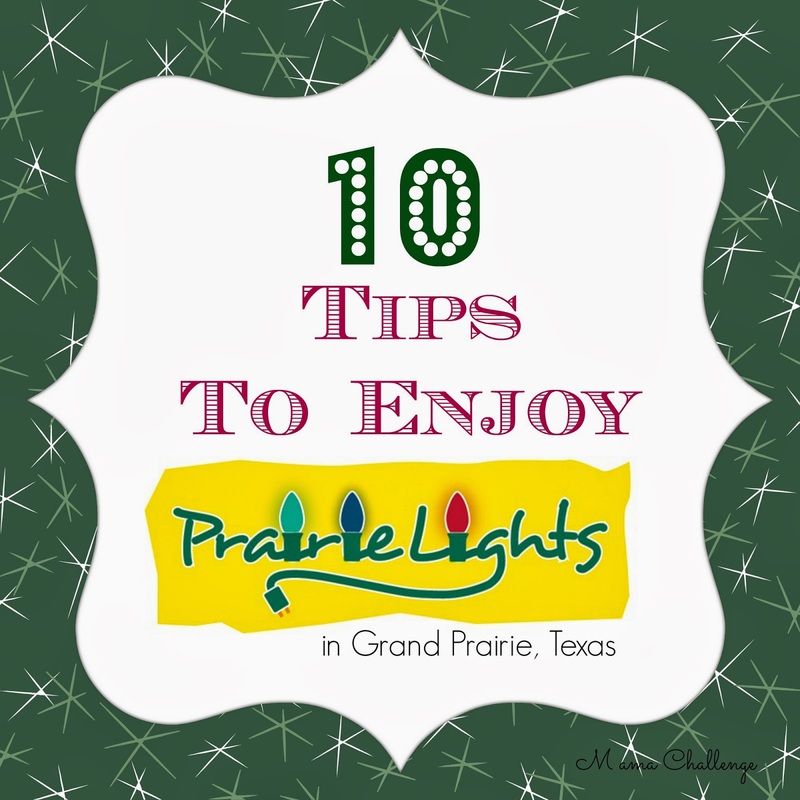 Thankfully, many of these organizations, like Prairie Lights in Grand Prairie, have decided to keep their gates open a little longer this season to allow guests the opportunity to appreciate these annual holiday experiences that are sure to put you in the Christmas spirit OR light up your 2014 in a whole new way! Long one of my favorite of displays in DFW, Prairie Lights Powered by Gexa Energy in Grand Prairie is well worth the time and money! There is such much even beyond two miles of lit paths and four million lights, it’s a whole night of fun for the kid in all of us. The experience includes not only the drive-through display, but a Holiday Village with free rides, delicious holiday fare, a marketplace and of course, Santa. There’s even a special Holiday Magic theatrical show and a Walk-Through Forest (for an added cost), so you can keep the spirit of Christmas going all night long! While you shouldn’t feel overwhelmed that you have to do anything at all, these are hopefully a few helpful tips to make you have the best experience ever at the Prairie Lights. 1. Pick your day mindfully. The weekends are always full, so if possible, pick a Monday – Wednesday to attend (especially if you have kids), so you can keep the car moving in a comfortable pace. 2. Don’t plan to wait until one hour before it closes down to roll in the gate. 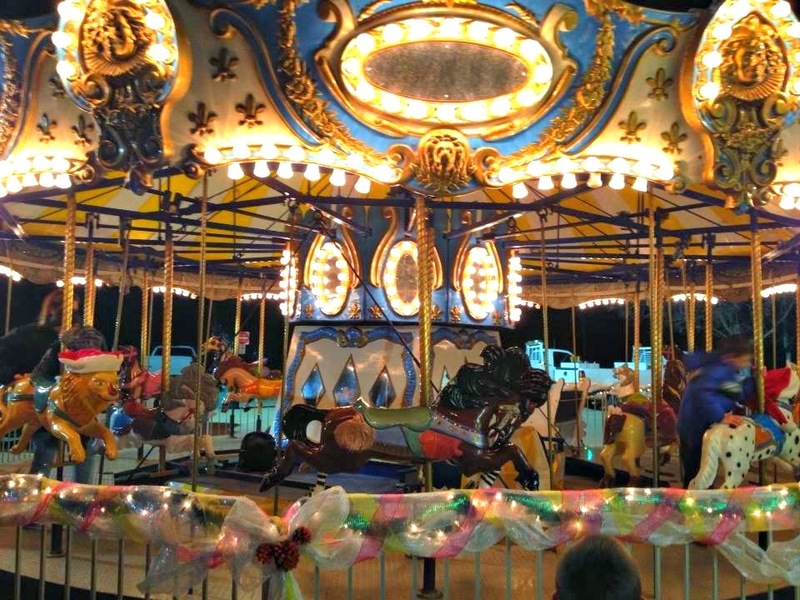 We had only planned to drive through with the kids, but couldn’t help ourselves from stopping at the out-of-the-car experiences like the Carousel and the huge corn dogs (so good!) AND Since we didn’t pace ourselves, we didn’t get to see the best part of the event, the world’s longest tunnel of lights – because they did turn them off! It was our fault for waiting, so I’d suggest giving yourself at least 2 hours (maybe 3 on the weekend) to leisure enjoy the display, events and activities without missing anything! 3. Bring a blanket (or three). You will want to roll down the window and it gets cold even with the heater. 7. Bring some extra dinero. 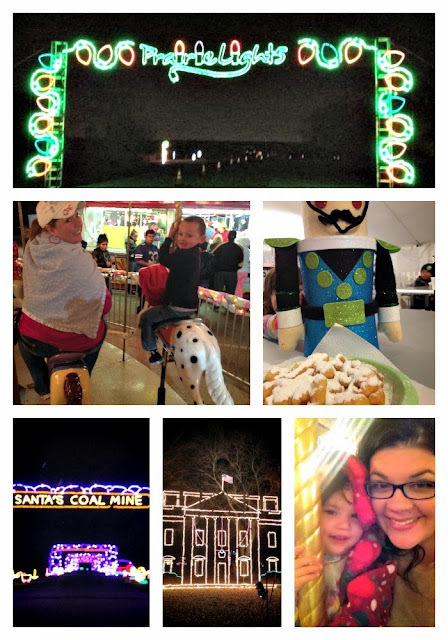 With all the opportunities to enjoy the lights at the Holiday Village, funnel cakes and Santa pictures, you don’t want to come empty-ended and not able to participate. Even the biggest Grinchs want to get out of the car and get on the rides! 8. Turn on the holiday music, even if you hate holiday music. It’s just part of the fun! And remember, this year’s holiday station is no longer KVIL, but now sister station, KLUV at 98.7 or turn on the Pandora! 9. Turn off your lights! The best way to enjoy the light display is to not have your view ruined by bright headlights in your face, so make sure to turn those off and just enjoy driving with the brake on without road rage. 10. Enjoy the time in the car. While normally I am not a fan of being stuck at less than 10 miles an our on a one-lane road, you can really do some great catch up time with the kids or your friend by just enjoying your time together without distractions! While I took some photos to share with you, it’s just best to let yourself be in the moment and enjoy the Prairie Lights! Now until Jan. 5, 2014: Sunday – Thursday: 6 – 9 p.m./Friday – Saturday: 6 – 10 p.m. Admission for cars is $20 Monday-Thursday (non-holidays) and $30 Friday-Sunday and holidays. Tickets for Holiday Magic Live! are $5 for adults and $3 for children. For the Holiday Magic Lights Walk-Through Forest, adult tickets are $3 and $2 for children. Save on combo tickets for both – $7 for adults, $4 for children. Carnival rides are free. There is a small charge for pictures made with Santa. VISA and MasterCard are accepted at the admission gate and in Holiday Village. 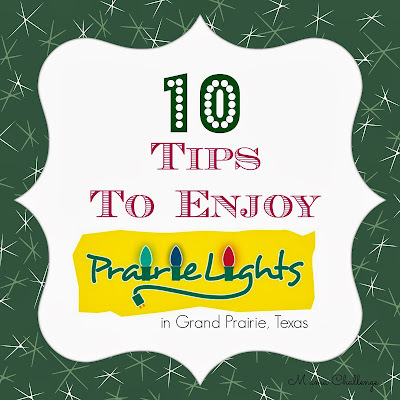 For more info on hours, admission prices and directions, please visit Prairie Lights on www.facebook.com/PrairieLights, http://twitter.com/PrairieLights, call 972-237-GLOW (4569) or go to www.prairielights.org. It’s Never Too Late to Enjoy the Holidays! Looks like so much fun! Love the carousel!